Maksim Zaslavskiy’s token sale lured investors by boasting about real estate and diamonds. Now he’s fighting securities fraud charges in one of the first sets of ICO cases pursued in the U.S.
Here’s a very detailed, but interesting profile of Michael Novogratz and his search for redemption with cryptocurrencies. The goal of Cambridge Analytica’s own coin offering? Raise money that would pay for the creation of a system to help people store and sell their online personal data to advertisers. The idea was to protect information from more or less what the firm did when it obtained the personal data of up to 87 million Facebook users. By now everyone has heard of CryptoKitties, a cute game that went viral to the point of overloading the whole Ethereum network. This is the inside story behind how two entrepreneurs made $107K investing in CryptoKitties and briefly set the record for the largest sale ever (currently second-largest). We have previously touched on Jimmy Song’s argument that Bitcoin is decentralized, that is, lacks a single point of failure or choke point. But, his critics quickly pointed out that mining is somehow centralized and therefore, his argument doesn’t hold. In this deep dive, Song examines mining centralization in depth, goes through some scenarios to understand what the risks are, how they could play out and what the implications are going forward. Here at CoinSnacks, we’re pleased to finally introduce readers to someone we’ve been closely following since the crypto market erupted… the same man who’s helping everyday people achieve average returns of 3,263% from America’s fastest-growing bull market. He finally just revealed his top coins for the remainder of 2018. And we wanted to make sure you didn’t miss it. Kathryn Haun peered into some of the darkest corners of the cryptocurrency world. Among her greatest hits were the prosecution of a pair of rogue federal agents who were stealing bitcoin while investigating the illicit marketplace Silk Road, and settling a criminal investigation into Ripple later that same year. Here’s her vision on the US government’s sharpening focus on crypto regulation. As part of a broader effort to protect cryptocurrency investors and consumers, the Attorney General’s office sent letters to thirteen major virtual currency trading platforms requesting key information on their operations, internal controls, and safeguards to protect customer assets. 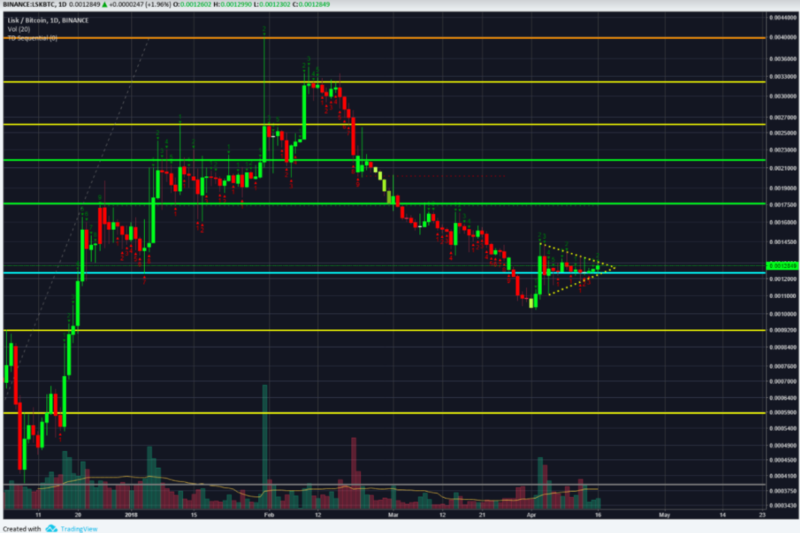 When looking at Lisk (LSK), we see a strong symmetrical triangle sitting on the .236 support for over 2 weeks. If it breaks downwards, be sure to have a safe (25%) stop loss. The risk/reward is still very high on this bullish indication.